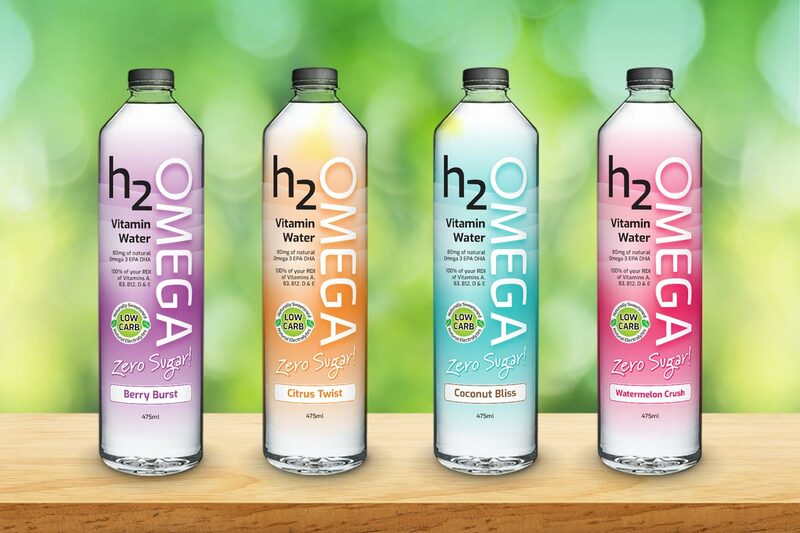 Please see my case study on H2Omega here for a more comprehensive run down. 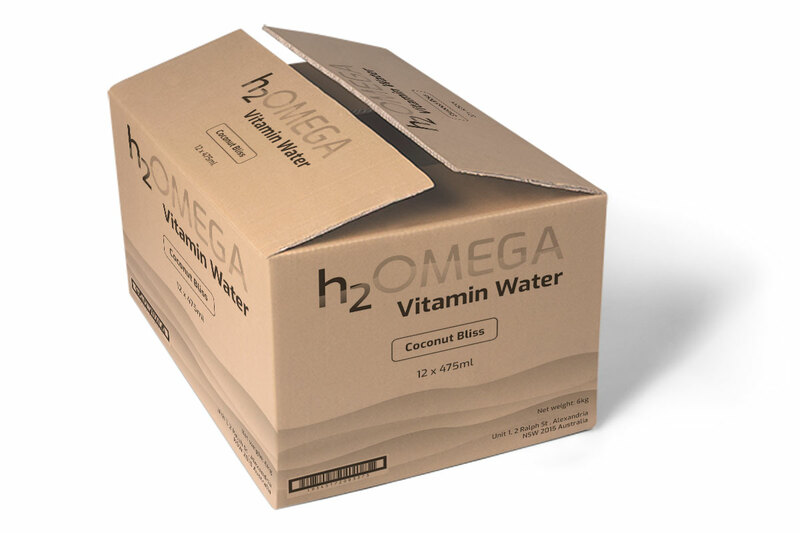 H2Omega is a new vitamin water formulated using a new patented technology that preserves the Omega 3 without the taste or scent usually associated with Omega 3 products. 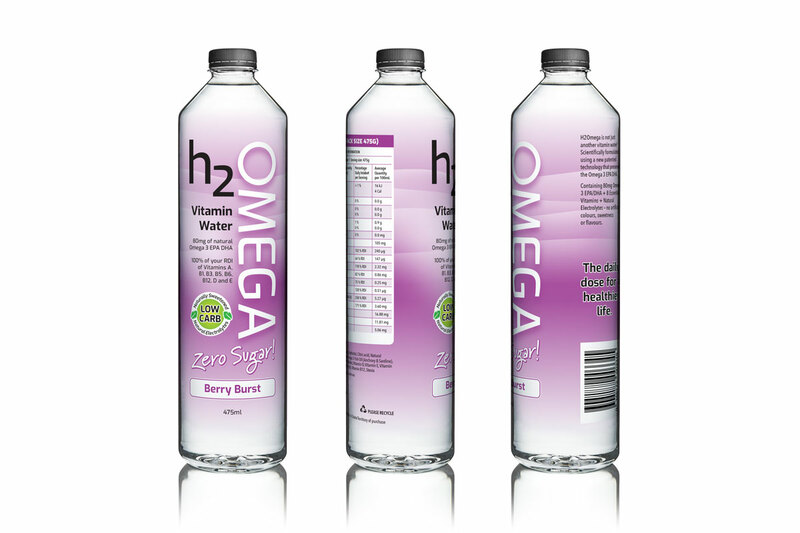 The client wasn't happy with the creative from a previous design firm and felt it didn't reflect Omega 3 qualities enough. 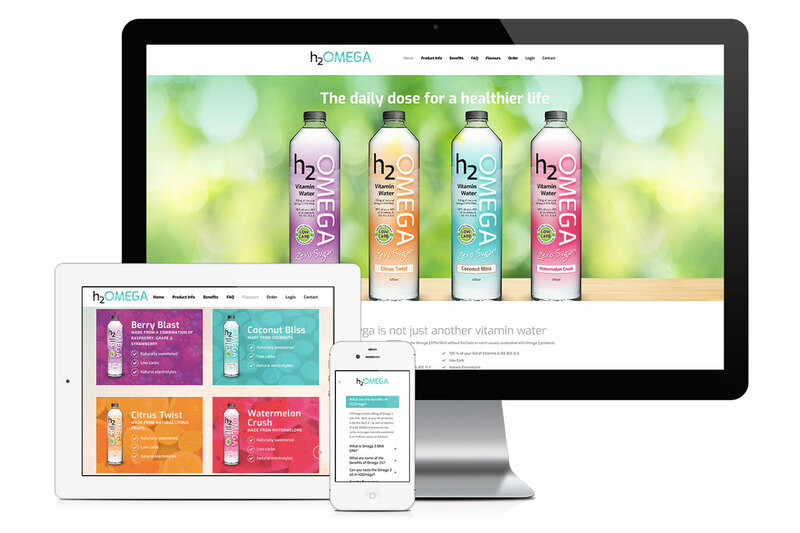 Give the design a fresh new look and communicate the health aspects more effectively. Then apply the new look to a website. First off I designed a new logo that was more literal in communicating the main heath benefits of the beverage. It needed to be adaptable to use on packaging as well as in digital. I came up with a vertical and horizontal arrangement. 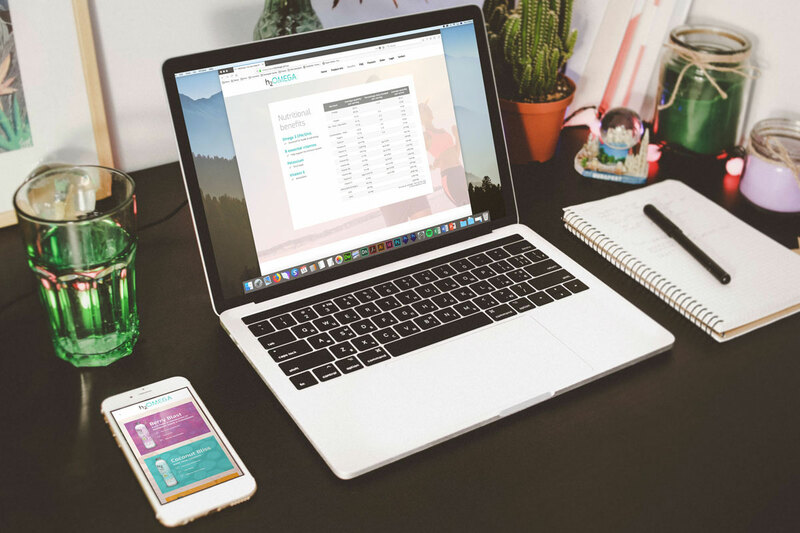 The vertical version enable me to use it prominently on the product whilst the horizontal version was perfect for the website and other marketing material. For the bottle I conceived a design that looked healthy, clean and refreshing in order to match the characteristics of the product. The colouring for each flavour reflects the flavour although the liquid itself is clear. I capitalised on the clear colour of the drink by using solid-to-clear gradients that gives a viewable access to the liquid inside the bottle. And finally box packaging was designed in keeping with the new creative. The new creative was then applied to a new one-page website. 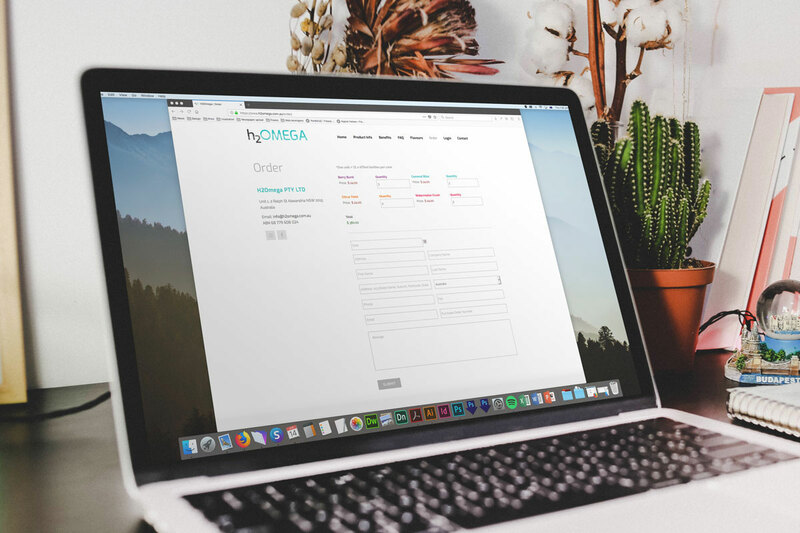 A user login and order form was integrated. One happy customer who is full of confidence going forward with a new product in a competitive market.